- Living-room area with a leather sofa, coffee table, foot lamp and Cable TV with a home theater. 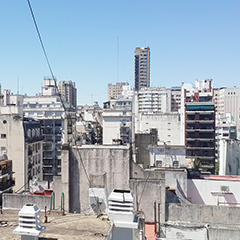 Access to the balcony. - Dining area with a great rectangular table and chairs for 6 people. 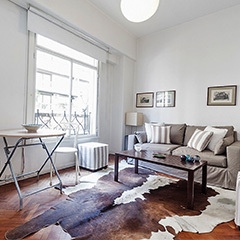 •Relax sector with double sofa bed, coffee table and cable TV. - Fully equipped kitchen that has big cupboard. 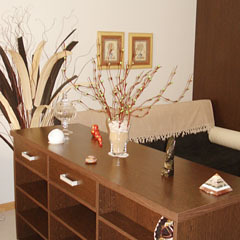 - Reception area with single divan-bed and sideboard on the wall. 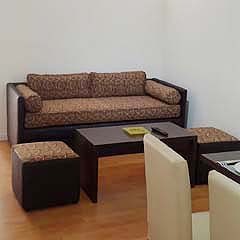 •Relax sector, with cozy sofa, 2 ottoman, coffee table, and cable LCD TV. •Dining sector, with splendid table and chairs for 4 people. 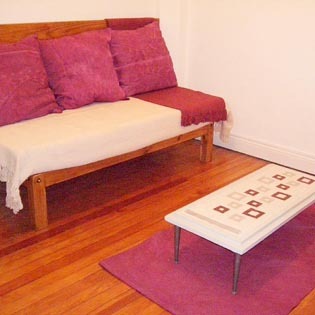 - Living with double size futon, Cable TV, DVD and dining room access. 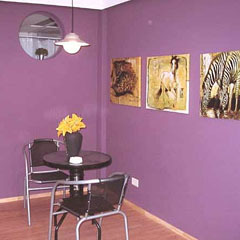 - Dinning room with table and chairs for four, and great private bbq. - Warm main bedroom with queen size bed. 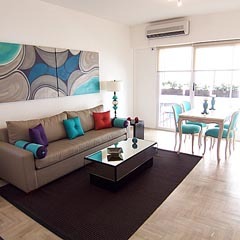 -Living area with comfortable double sofa bed and little dining area with table and chairs for 3 people. 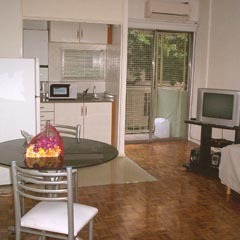 -Bed room area with double bed, cable TV, DVD and sound system. • Dining area, with table and chairs for 4 people. 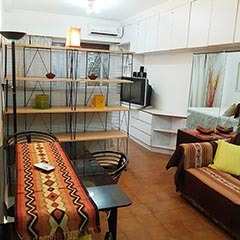 -Living area with comfortable double size bed, single sofa bed, coffee table and cable LCD TV. -Dining area, with table and chairs for 3 people. •Relax sector, with sofa and cable TV. •Dining sector, with table and chairs for 4 people. 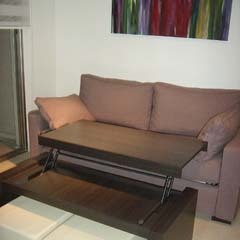 - Living with simple sofa bed, coffee table and cable TV. 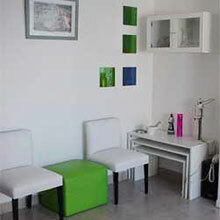 • Relax area with nice white leather single sofa bed, coffee table and cable TV. • Elegant dining area with table and chairs for 4 people and fire place. -Relax area with cozy sofa and cable LCD TV. -Dining area with table and chairs for 4 people. 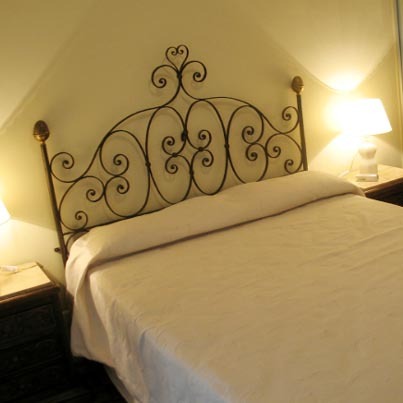 -Elegant main bedroom with comfortable double size bed. 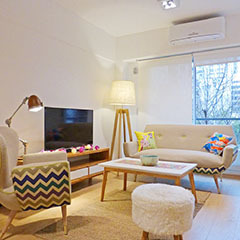 - Living and relax area with double sofa bed, coffee-table and Cable LCD TV. - Bedroom area with beautiful double size bed and spacious wardrobe. 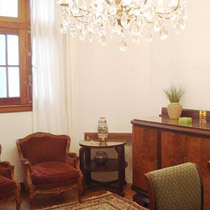 - Fully eqquiped kitchen area with breakfast sector -bar and stools for 4 people. • Relax area equipped with sofa bed and coffee table. 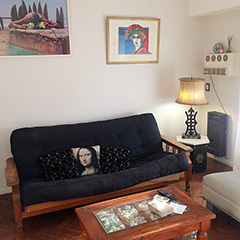 - Living area with wide window, comfortable couch, ottomans and coffee table. - Precious bedroom with double size bed and cable LCD TV. 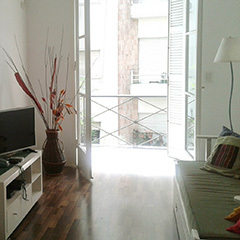 - Fully equipped kitchen, with table and chairs, laundry area with washing machine. 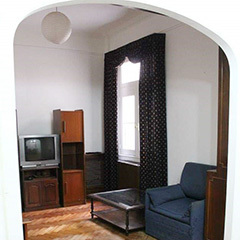 - Relax area with a sofa-bed, 32" LCD tv, music player and alarm clock. - Dining area with table and english style chairs for 4 people. 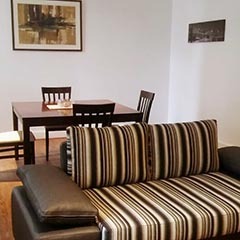 - Relax area with comfortable single sofa bed, single bed and cable TV. 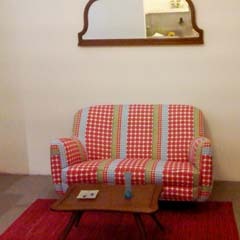 •Relax sector with lovely sofa, coffee table and cable LCD TV. -Fully equipped kitchen incorporated to main area. -Dining area with table and chairs for two. 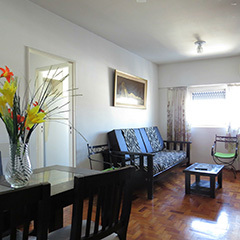 -Bedroom area with 2 single beds and modern cable TV. -Dining sector, with table and chairs for 4 people. 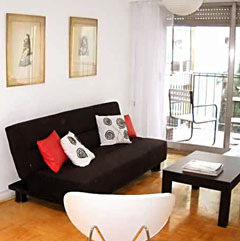 -Studio with 2 single sofa-bed and dining table for two. - Livingroom-dining area with in style table and chairs for 3 people. 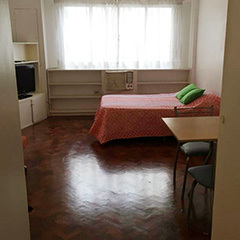 - Bedroom area with double size bed (not futon) cable TV, big mirror and closet. - Beautiful fully equipped kitchen. 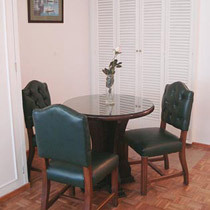 - Cozy dining room with table and chairs for 4 people. - Dining area with table and chairs for 2 people. - Living-room area with a nice leather couch, coffee table and Cable TV. - Dining area with a table and chairs for 2 people. 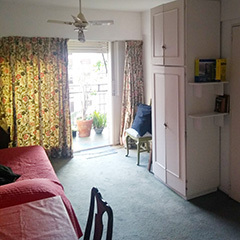 - Bright bedroom with 2 twin beds (double bed upon request). -Relax area with chairs and cubes. - Living area with precious sofa and coffee table. - Fully equipped kitchen area. -Relax area with double size bed, cable TV and nice window with open view. The dining area has table and chairs for 4 people. - Dining area with a round table and chairs for 2 people. - Bedroom area with a double bed and night stands. Access to the balcony. - Relax area with table and chairs. 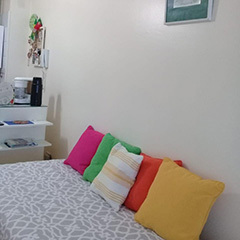 - Bedroom area with single bed, cable TV and wide closet.